Today is the start of InCoWriMo 2016! As ever I will be participating, starting by tackling my substantial Reply To pile from 2015. 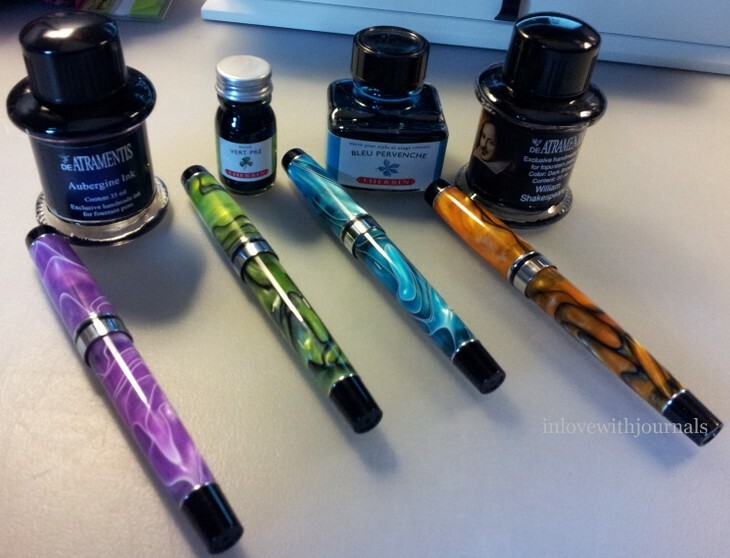 Apologies to any pen pals who have been waiting on me; I promise to get to the bottom of the pile this month. Or at least try. 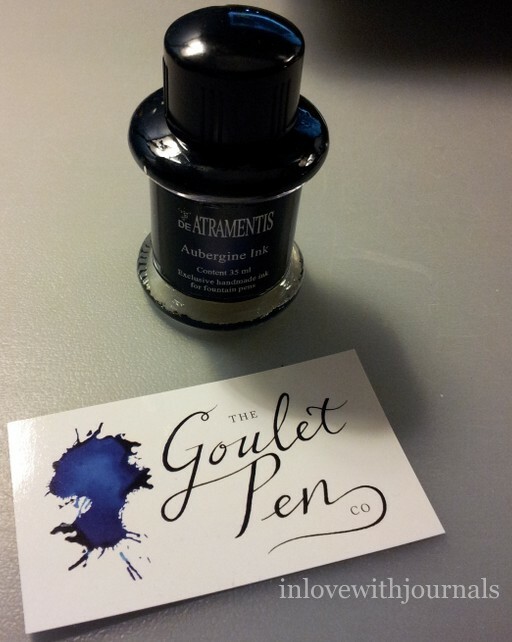 Goulet Pens has a wonderful post on this letter writing extravaganza, complete with a link to a list of awesome people to write to. If you want to write to me use the Contact Me button and I will give you my address, and I promise to write back. Eventually! I listened to a great podcast on write4life.us this week; Nathan interviewed Susan Borkin for an episode of Journal Talk, about her life, influences and new book, The Healing Power of Writing: A Therapist’s Guide to Using Journaling With Clients. What an inspiration! And if you listen to the end there is a bonus for Journal Talk listeners. Well worth listening to! As Susan says, you can’t teach it if you haven’t done the work. And finally inky cauldron takes us on a tour of her adorable pencil case. Enjoy! 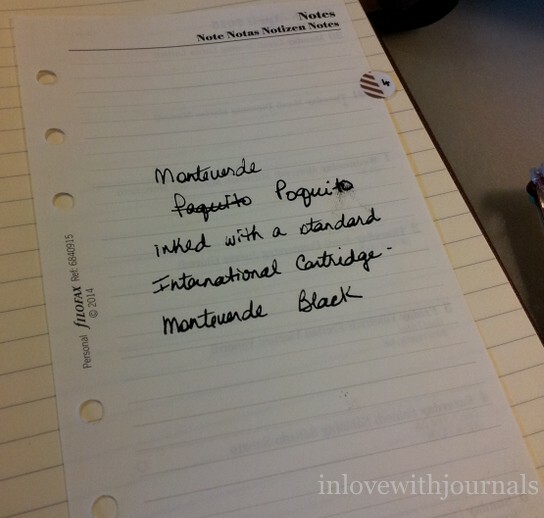 I realized today I have not reviewed my Monteverde Poquito fountain pen, which I bought for my personal Finsbury Filofax from Reid’s Stationers in December 2014. Here you can see the Poquito in the Finsbury pen loop, and it is an incredibly tight fit. 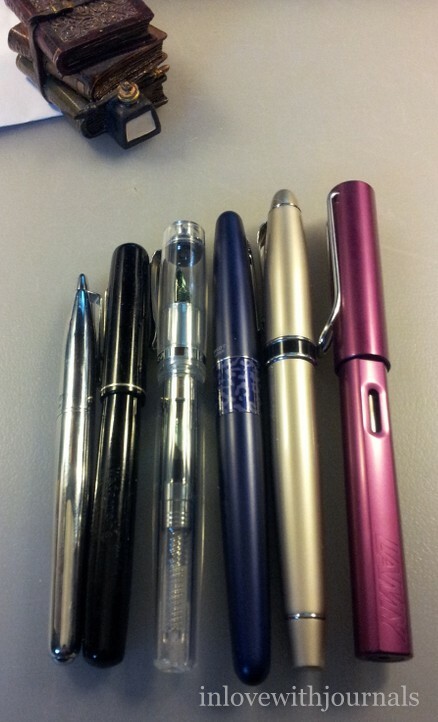 So hard to find pens that fit that pen loop. 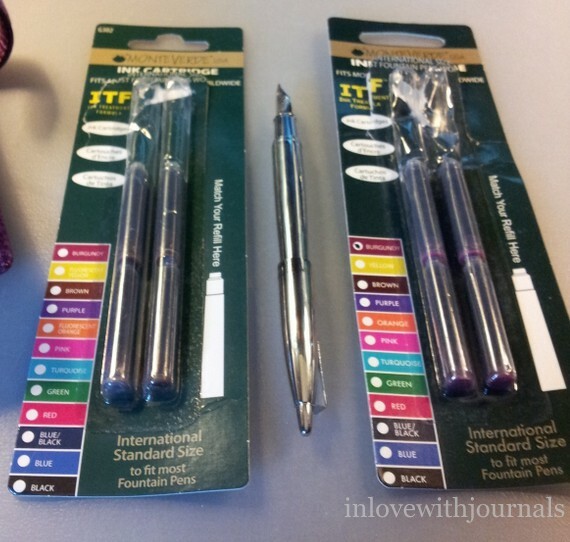 But I wanted to have a fountain pen for my planner so I purchased the smallest fountain pen I have yet to see in person. 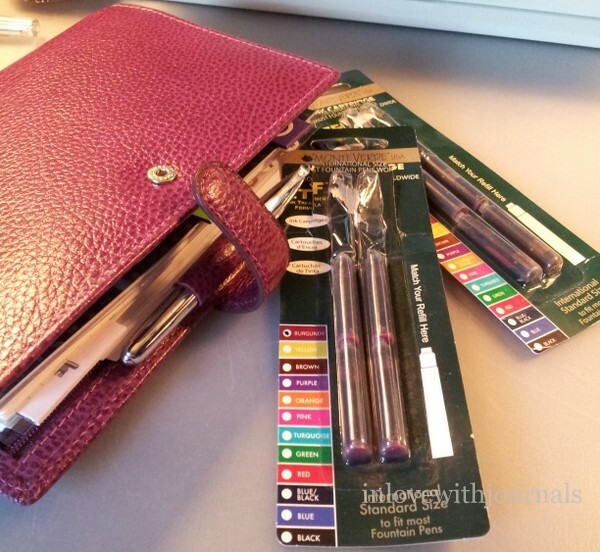 It did not come with a box although the reviews on YouTube show a very nice green Monteverde box. Poquito in Spanish means “a little bit” and this pen is super small. It measures 11 cm (4.4″) capped, and a respectable 12.6 cm (5″) posted. It is too small for a Monteverde converter, although a couple of the videos I watched mentioned smaller converters that could fit it. It comes with a standard international cartridge; mine came with black. 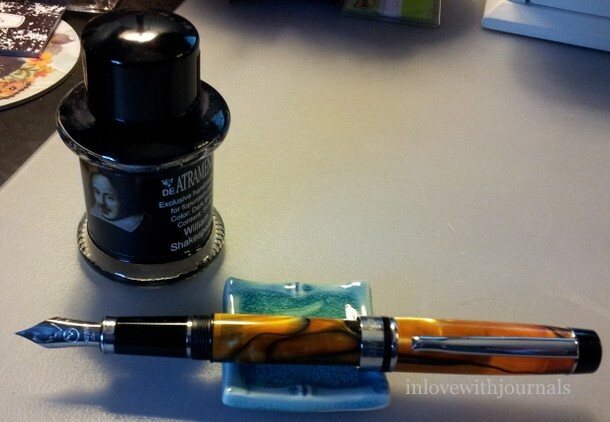 If you want to use bottled ink you can use a syringe to fill the empty cartridge. 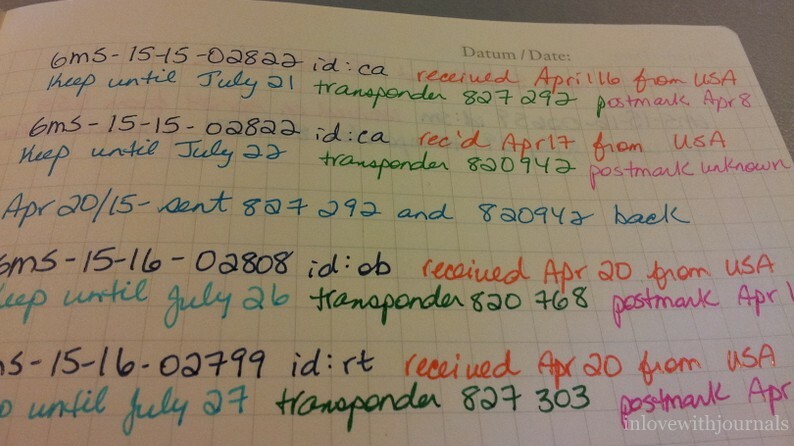 I found the ink was VERY slow to dry and made a mess of my fingers and my journal. 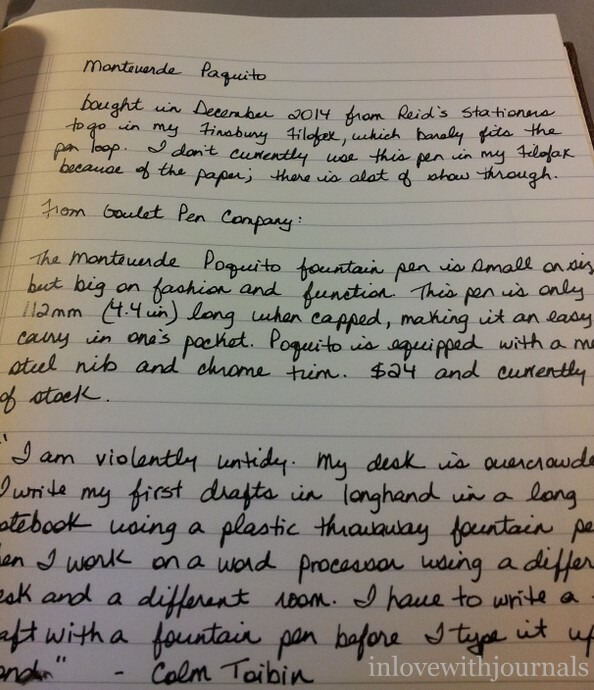 And yes I realize now I spelled it “Paquito” at the beginning of the journal entry, and also in my Waterman Junior post. 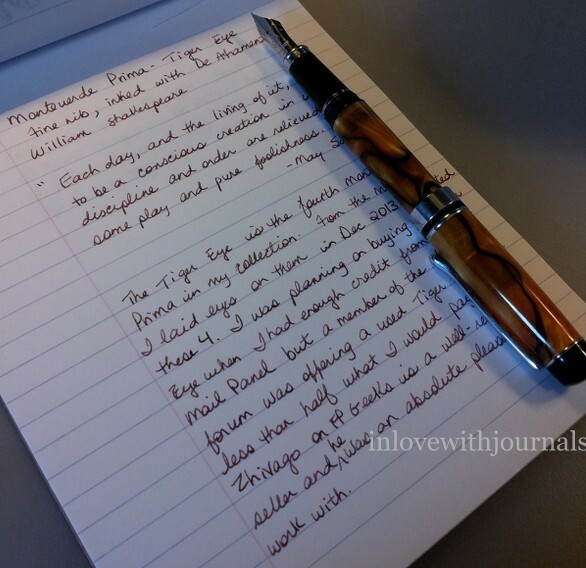 I originally bought this pen to use in my Finsbury but the paper is not meant for fountain pen ink; there was tremendous showthrough and the long drying time meant messy pages. 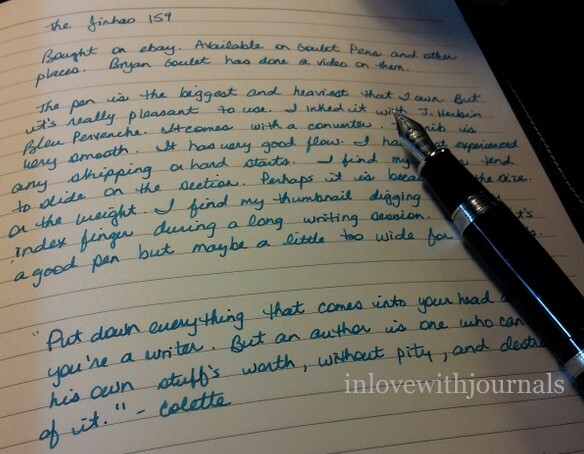 But I do use the pen; it is a good smooth writer and very comfortable in the hand despite its small size. 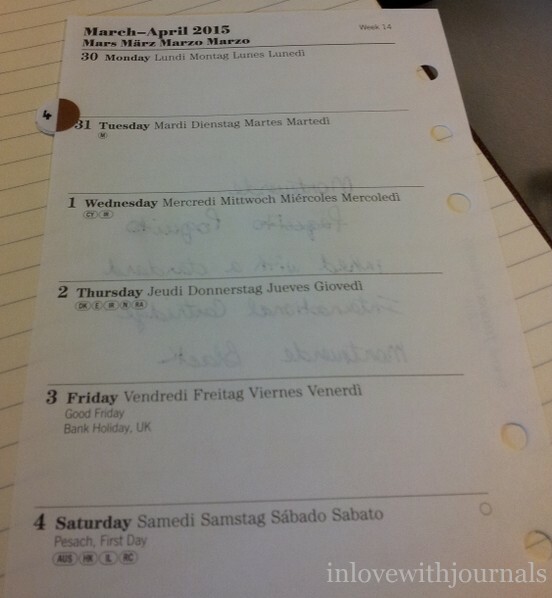 Here is the pen in action on a Filofax page. 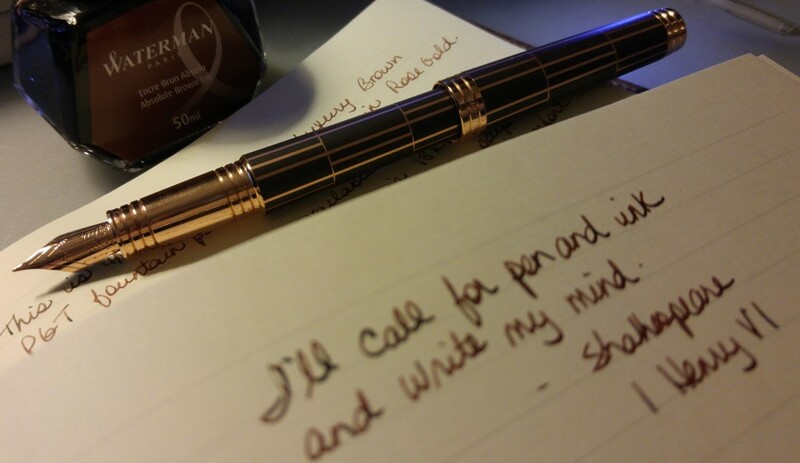 Here’s a closeup of the pen. I chose the silver, but it comes in turquoise, pink and steel grey. 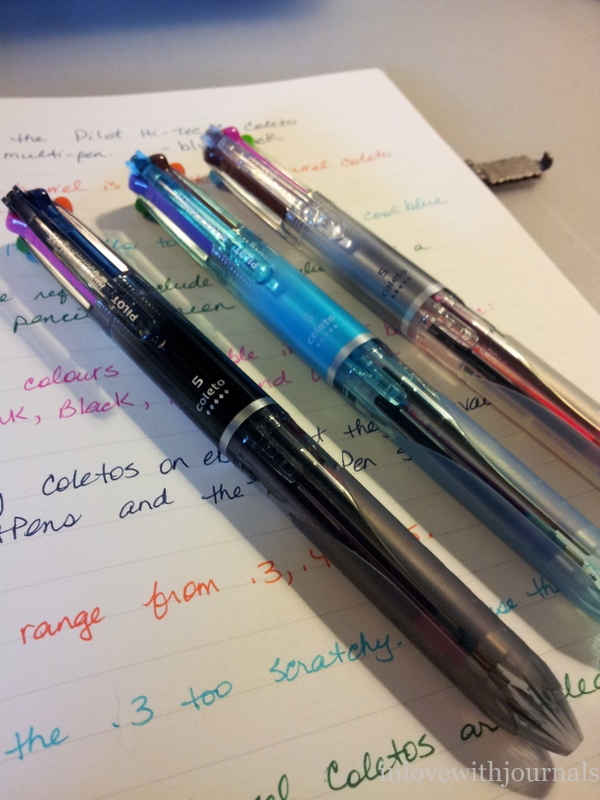 The turquoise and pink are metallic. I chose the silver to match the rings in my Finsbury. 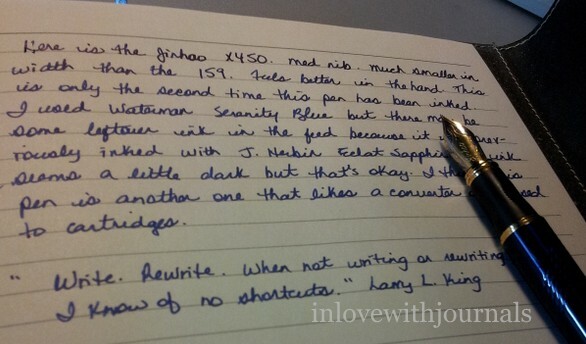 The section has a bit of a step down and the nib is standard iridium, made in Germany. 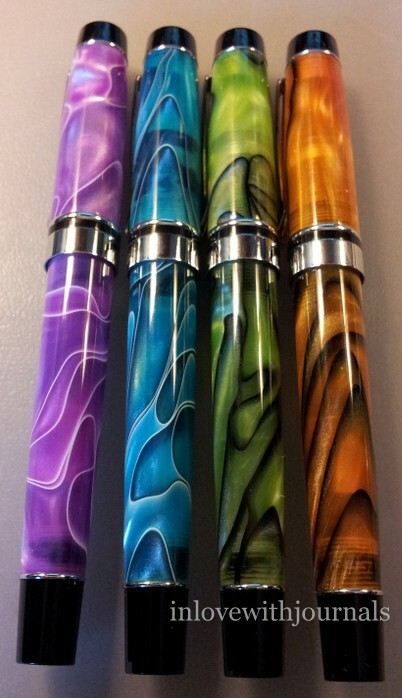 I think the Goulet Pens video said it was a #5. 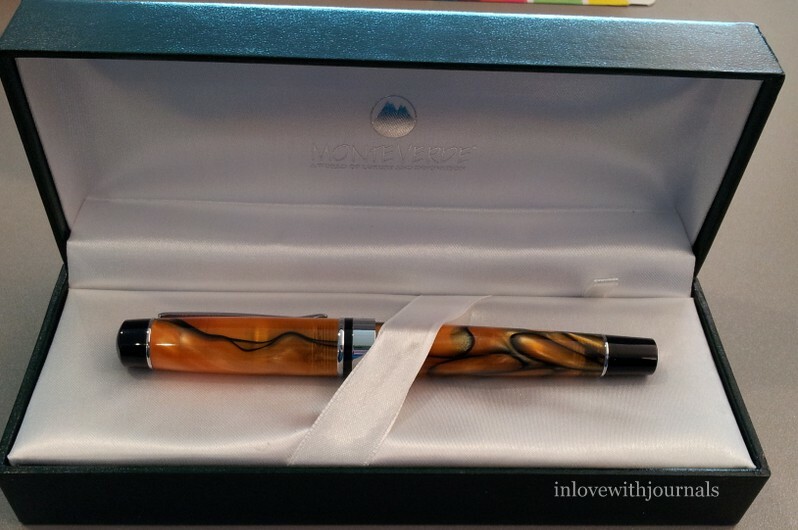 Currently this model is sold out on the Goulet Pens website. I was given these Monteverde cartridges when I purchased my Visconti Rembrandt from Goldspot, so they will come in handy when the black cartridge that came with the Poquito runs out. But it will accept any short international cartridge. 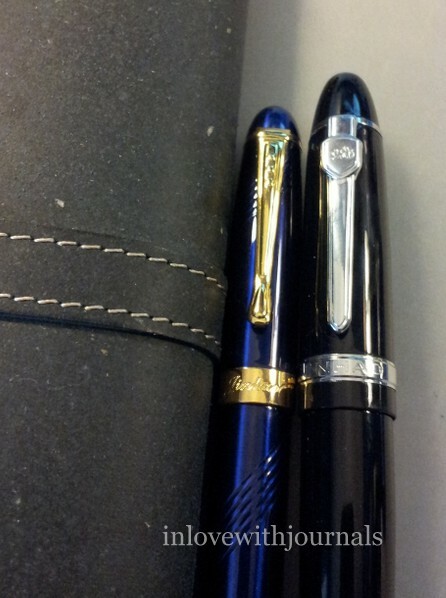 And here is that picture I used in my Waterman Junior post, comparing pens. 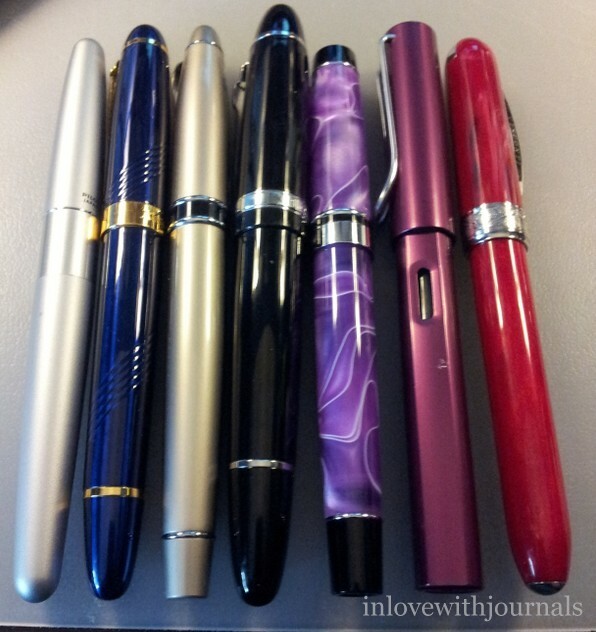 From left: Monteverde Poquito, Waterman Junior, Monteverde Crystal Artista, Pilot Metropolitan, Cadence, Lamy Al-Star. Overall I would recommend the Poquito for a small everyday carry pen. 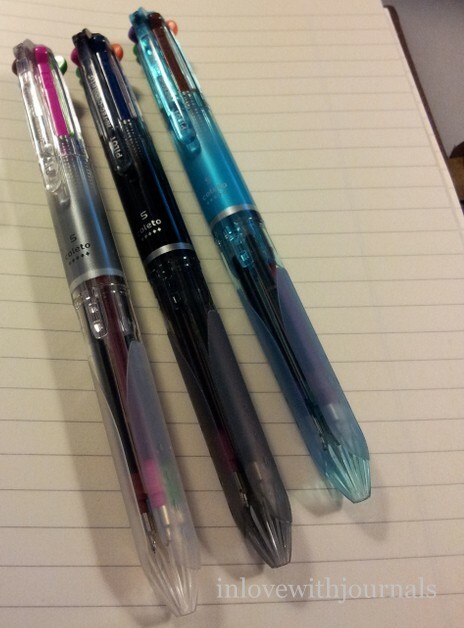 It is very comfortable in the hand and writes well. 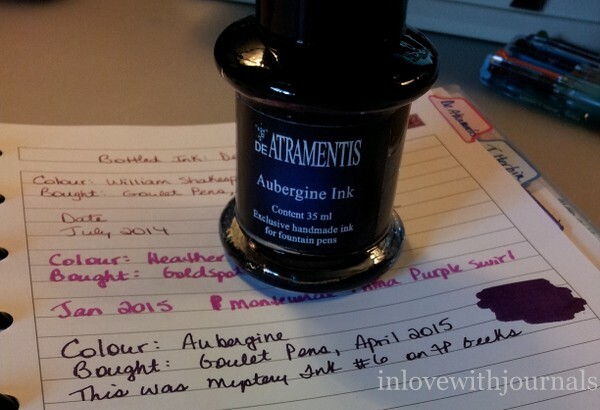 I’m not a big fan of the long drying time of the ink but that could be the paper I was using for my tests as well. Let me know in the comments if anyone has had any experience with this pen, good or bad.